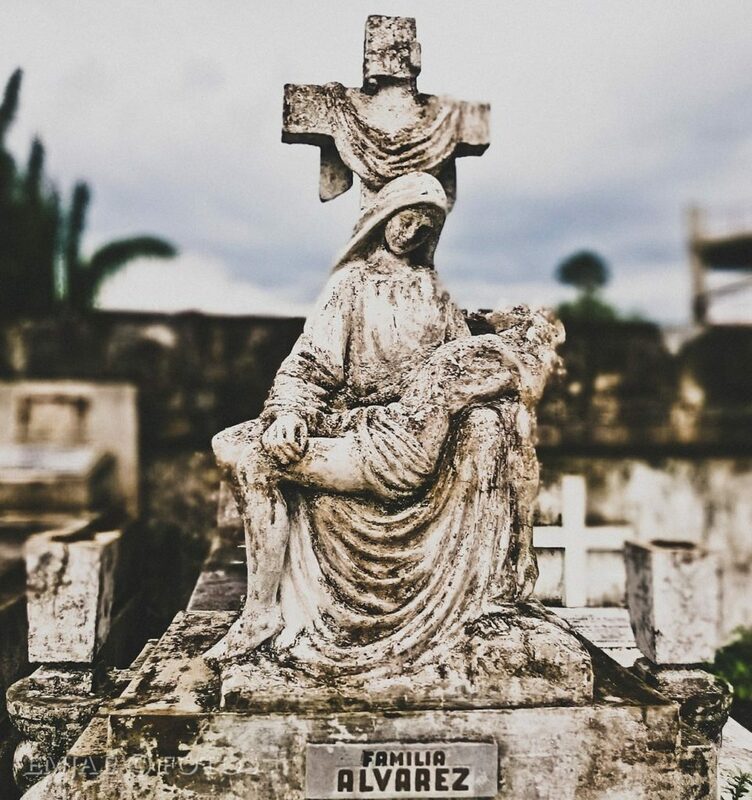 Are you afraid of cemeteries? I do! 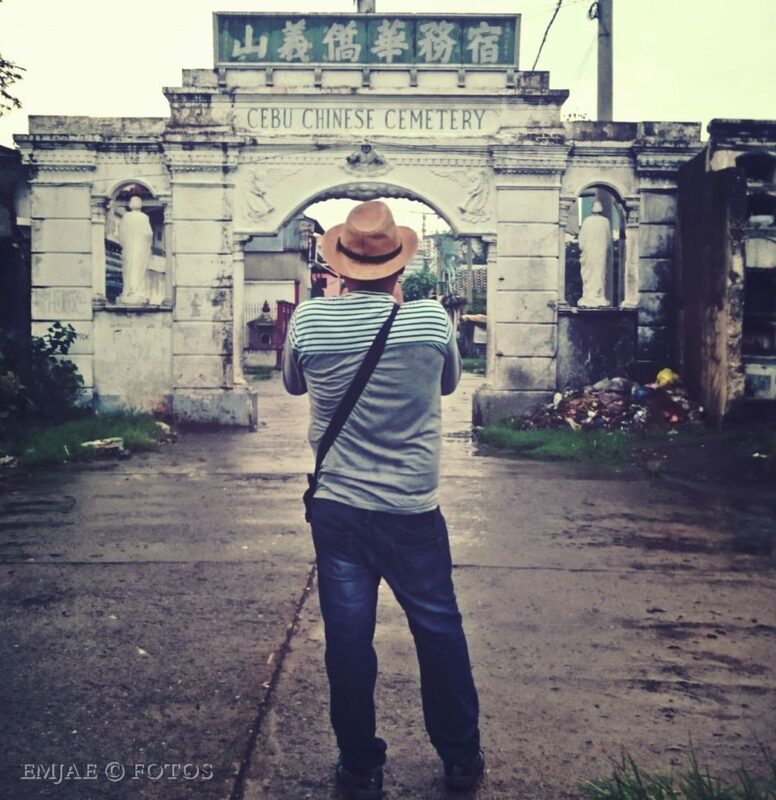 But after joining a walking tour through a few Cebu cemeteries, I got to appreciate stories of dead people and a bunch of funerary architectures. And out of these labyrinth of tombs is a community that has been living with the dead. 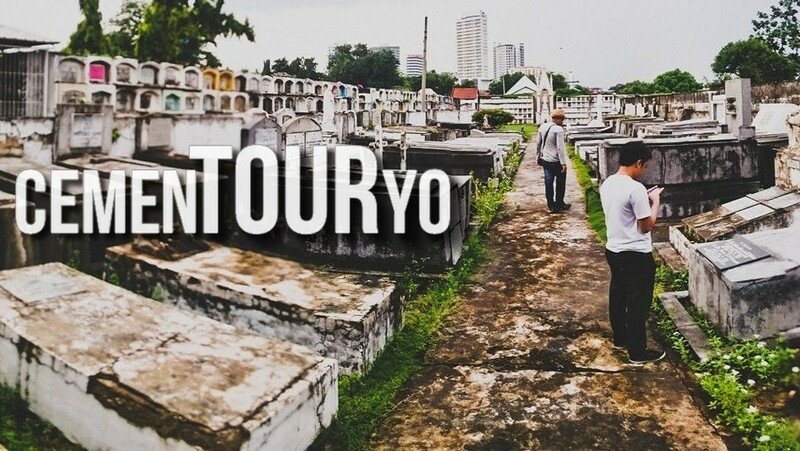 CemenTOURyo is derived from merging the words tour and sementeryo, a Cebuano term for cemetery. 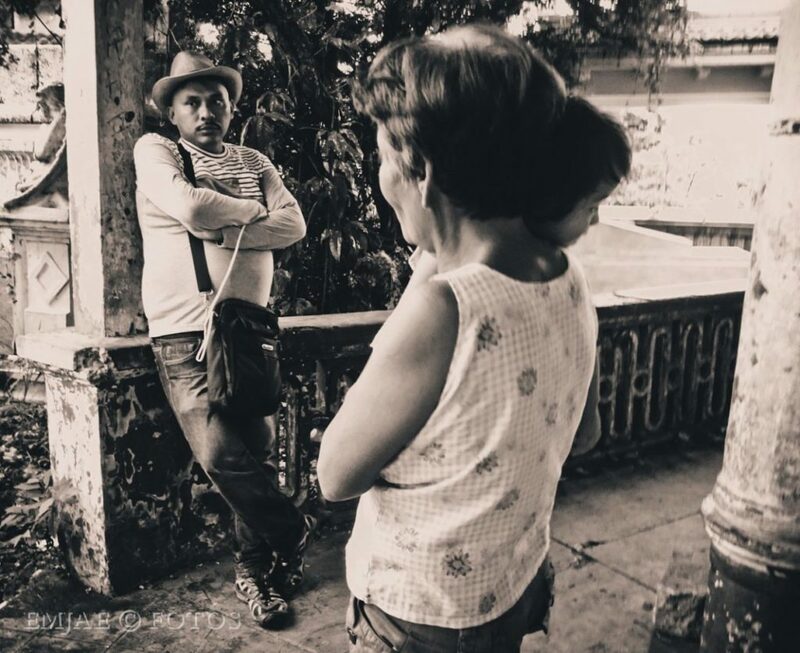 It was lead by Cebu’s best heritage interpreter and tour guide, Ka Bino Guerrero. 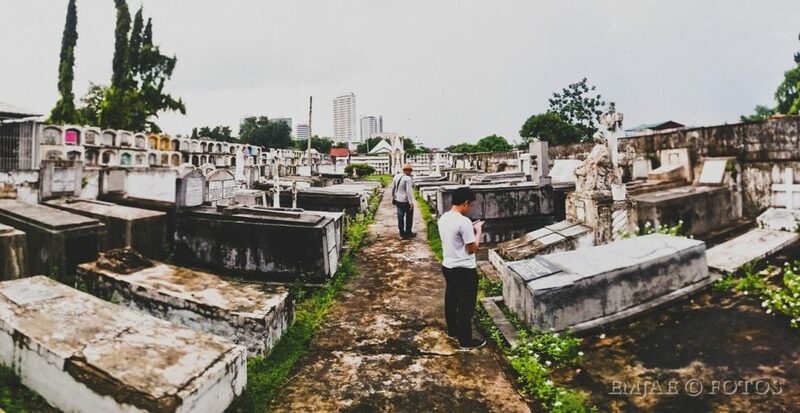 That day, we checked out 3 nearby cemeteries around the corners of General Maxilom Avenue and M.J. Cuenco Avenue in Cebu City. 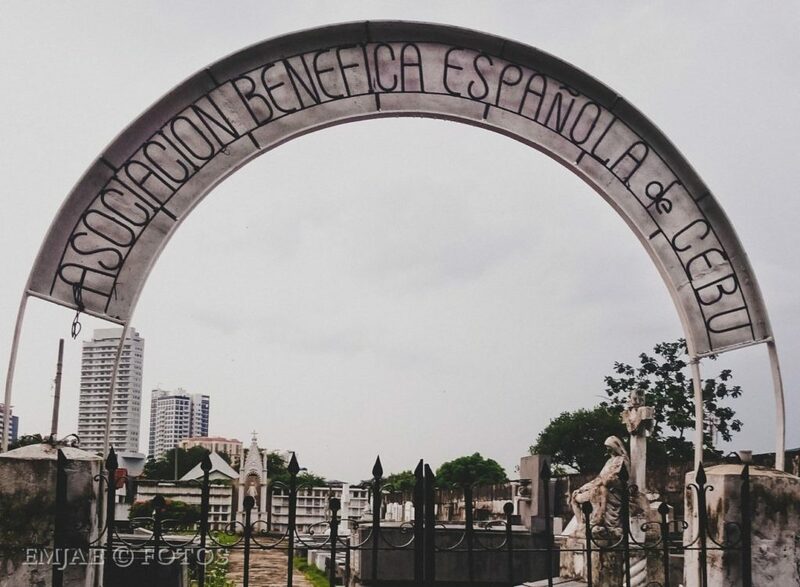 The Doña Pepang cemetery was built for Don Sergio’s first wife, Doña Estefania Chiong Veloso-Osmeña. A huge mausoleum can be seen in the middle that has a crypt where the ancestors of the Osmeñas are buried. Actions for converting the cemetery into a park is in progress. 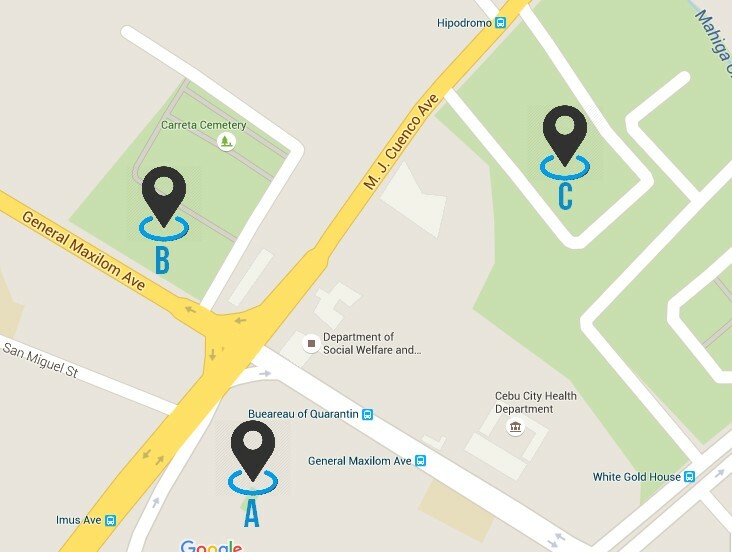 One of the big cemeteries in Cebu City is in Carreta where there are certain parts divided into plots. One of these is the Asociacion Benefica Española de Cebu for the Spanish-Filipino families. Another plot was dedicated for War Veterans. Beautiful La Pieta sculpture on top a tomb. A marble tombstone at one end of the plot. 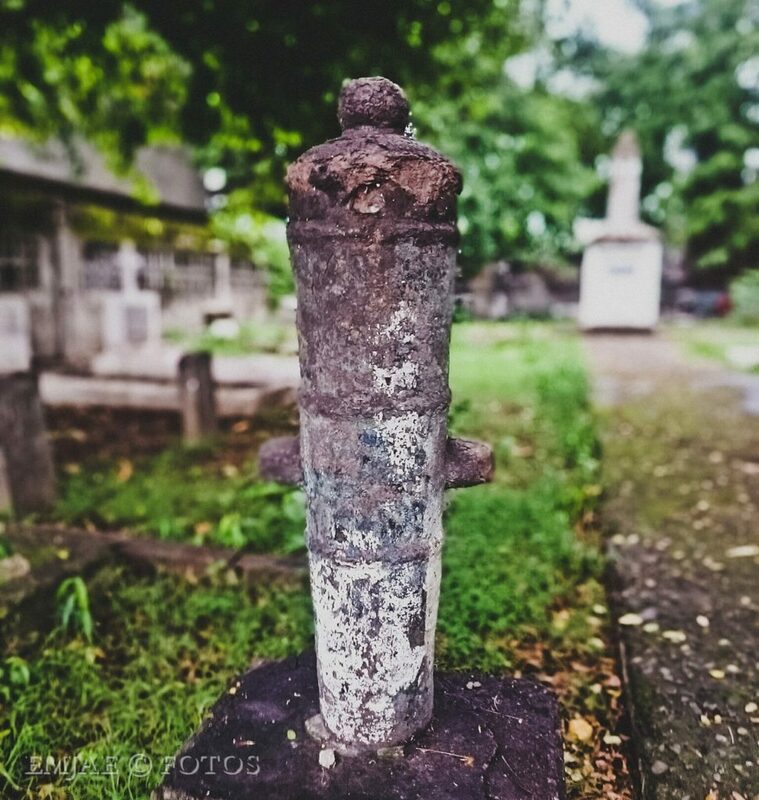 A vintage cannon inside the War Veterans Plot. 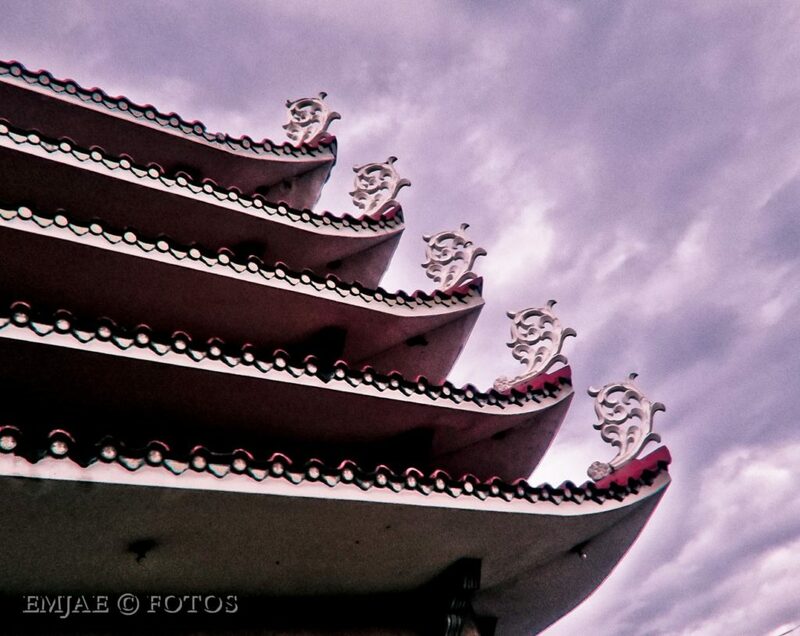 There were a lot of interesting things I learned about the Chinese people and tradition. 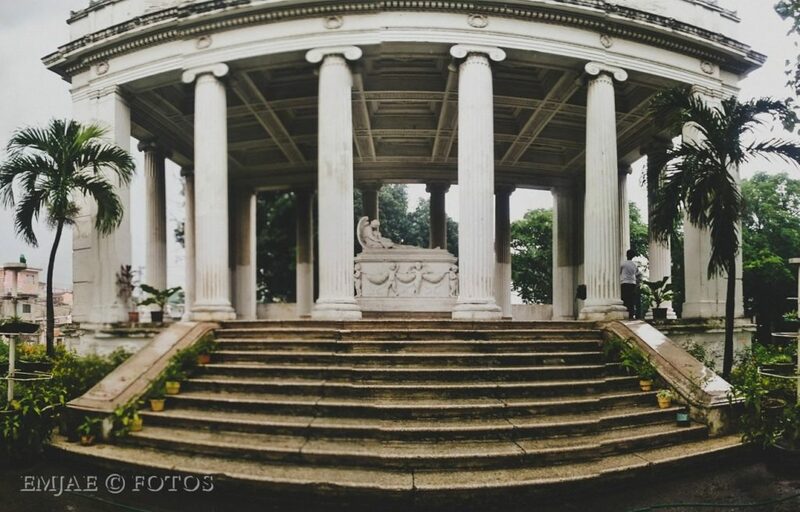 From the shapes of mausoleums, signs and symbols on the tombs and even stories of influential people in the past. Laid here are the ancestors of the owner of Chong Hua hospital, Gaisano malls, Gothong shipping lines and other Chinese businessmen. 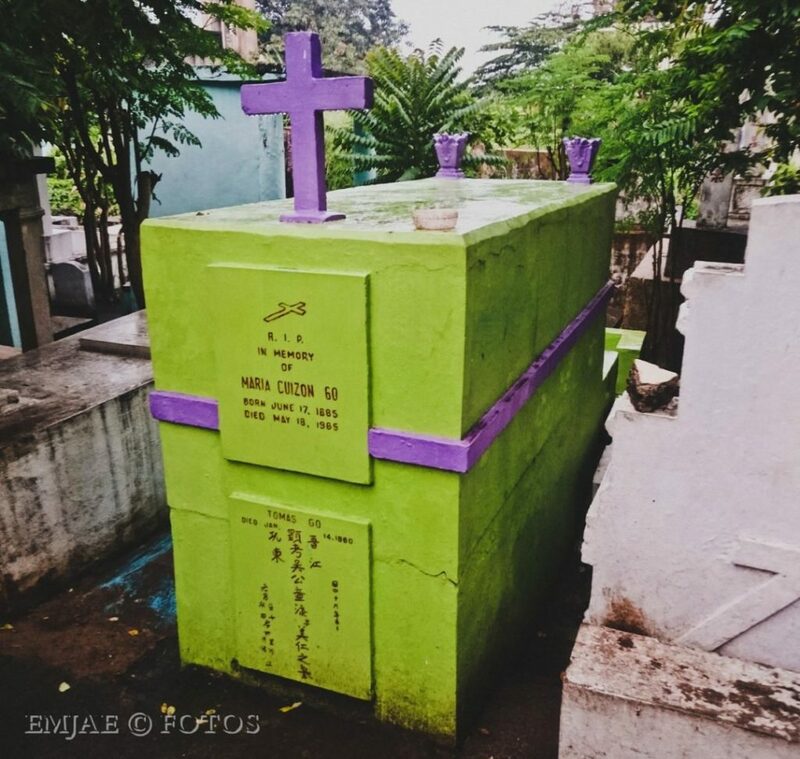 An interesting tomb that wears a different color each year. The community inside the cemeteries are mostly composed of caretakers. 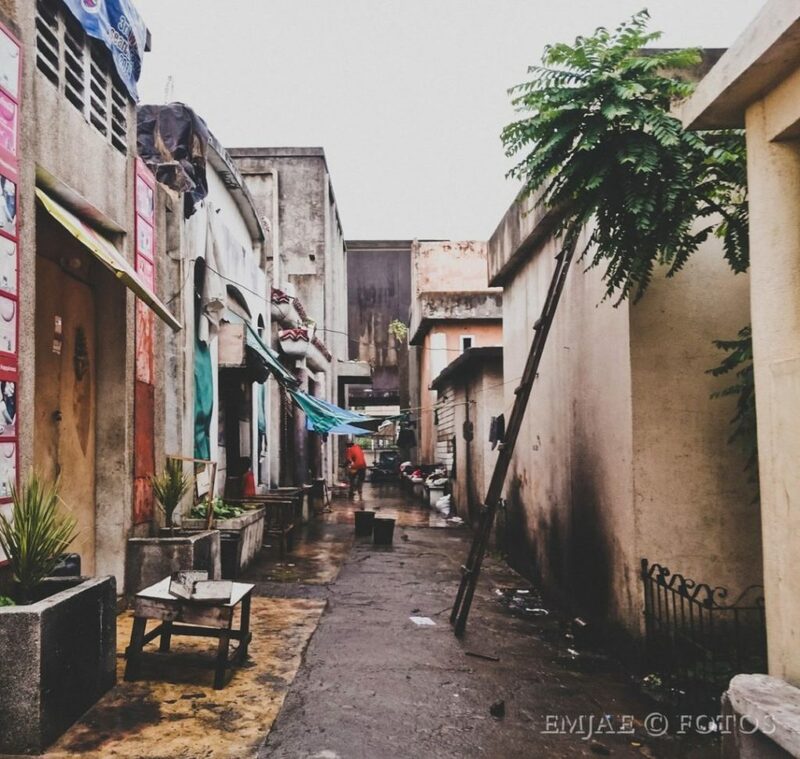 They have lived here for decades and eventually built their families and passed on through generations. Their grandchildren have grown up to walk and run along the tombs. The funny thing is every time we ask if they have seen or got spooked by ghosts, their answer is no. 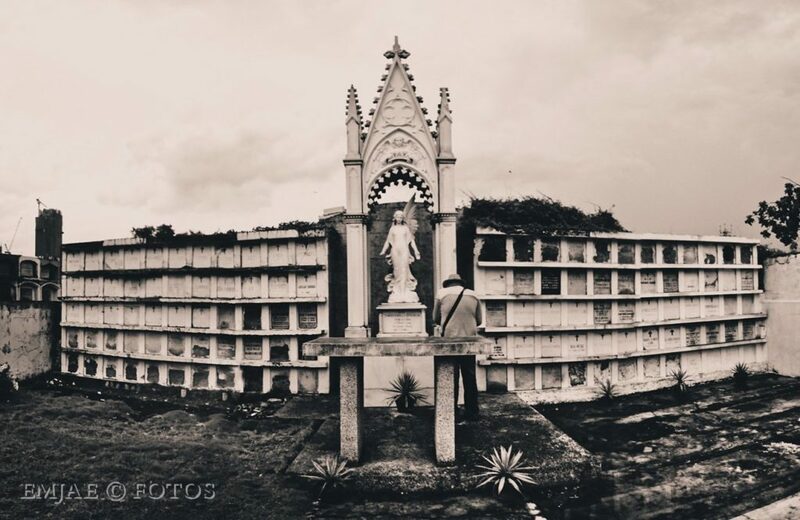 The CemenTOURyo is a unique tour through Cebu cemeteries that only a few may be interested. Actually it was just one of the trial runs to simulate the experience and gather more facts and trivia. For interested parties you may contact Ka Bino of Galleon San Pedro Tours. I’m usually scared. But really, this is also interesting. But I’m not sure I can do it. 🙂 One of my friends’ thesis before required him to spend his time in the cemetery DAILY. This is interesting. I like the idea of doing a tour that is out of the common and usual itineraries being offered. The irony of life is that most people are only interested about the facts of living but not so much about death. My guess is that people don’t talk about death because it’s taboo or malas or whatever you call it. But why not, right? We should really promote unorthodox tours like this one. If I should get invited in these types of tours, I would focus on learning about the classic architectures and the the people who were already buried and at some point, were once part of our vibrant culture and history. For some reason this creeps me out. Super lang dyud ko katalawan ay. Haha! But I like the idea of unconventional activities like this.